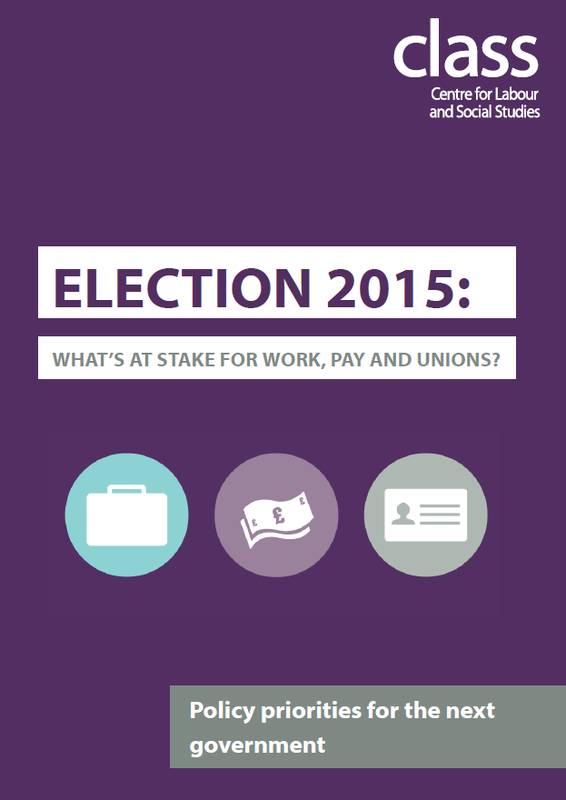 Election 2015: What's at stake for work, pay and unions? Election 2015: What’s at stake for work, pay and unions? This guide outlines the scale of the fall in living standards since 2008, the explosion of low-wage, insecure work and how working people and their unions have seen their rights attacked. By explaining the link between strong trade unions, widespread collective bargaining and lower inequality the pamphlet suggests short and long term policy interventions that would improve the living standards of working people and begin to steer the economy in a more equitable direction with collective bargaining at its core. This guide has been produced in association with the Institute of Employment Rights. Work areas: Economy and Industry, Inequality. Tags: austerity, class, collective bargaining, fair economy, inequality, organising, trade unions, wage gap, workers rights.